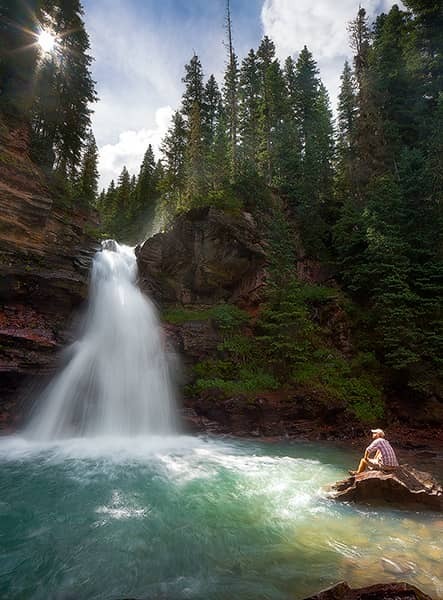 Some of Colorado's finest waterfalls can be found in the San Juans near Telluride, Ouray, Silverton and Creede. 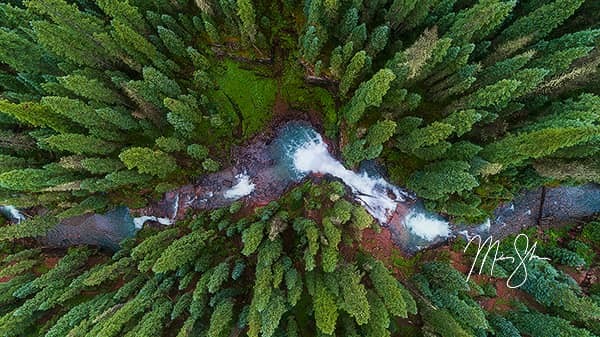 This short film explores some of my favorites such as Mystic Falls and South Fork Mineral Creek Falls with my drone in stunning 4K video! 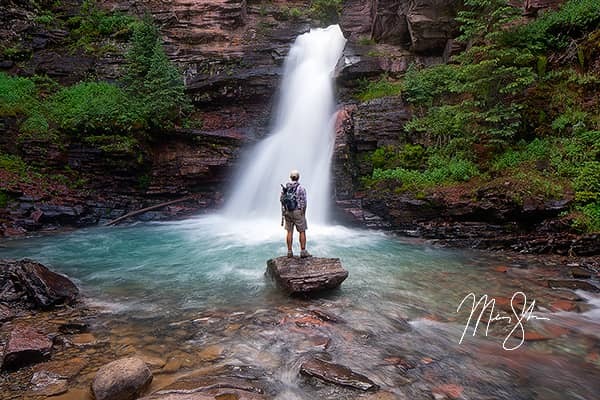 When I shot "The Mystical Waterfalls of the San Juans," I had originally intended for the film to be more than just waterfalls. But the weather in the San Juans was particularly foggy, dreamy and with only a few moments of sunlight in the entire three days, I shot this. In between moments of rain and drizzle, I would send my DJI Phantom 4 Pro off to shoot 4K footage of these waterfalls. The first waterfall I filmed was Mystic Falls. I had tried to find Mystic Falls for a few years. The first time I went, the weather was terrible, and I abandoned even looking for it in favor of landscape photography near Mt Sneffels and Ridgway. The second time I went, last year, we stumbled upon Upper Ames Falls by accident. I knew it wasn't the same as Mystic Falls, but when I got home, I was shocked to find out we had actually stood at the top of Mystic Falls and then bushwhacked upstream to even lesser known Upper Ames Falls. So when I went back to the area a third time, I had a better idea of where I was going from studying Google Maps. Eventually, I landed at Mystic Falls about two hours before sunset. Unfortunately, the rain was coming down pretty good, so I was content with just grabbing a few photographs and coming back in the morning. Thankfully, some breaks in the drizzle allowed me to get some good footage of Mystic Falls. 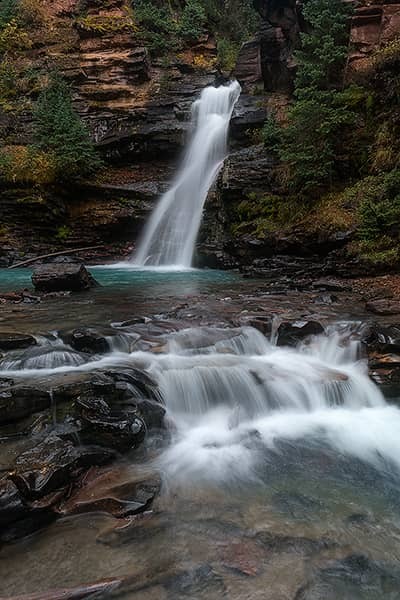 After leaving Mystic Falls, I hiked the switchbacks near Telluride up to the base of Bridal Veil Falls and eventually Ingram Falls. 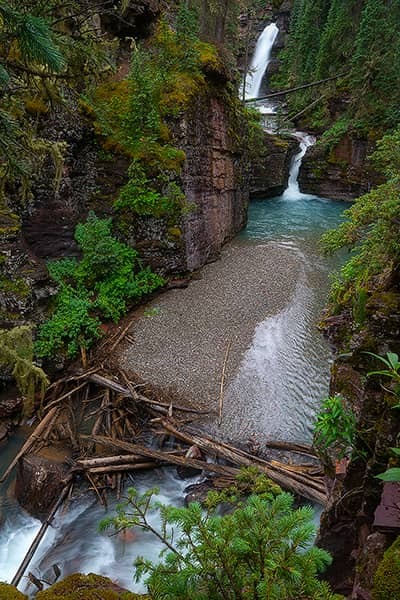 I flew straight up following Ingram Falls for the second to last scene of "The Mystical Waterfalls of the San Juans." Low hanging clouds also made for some great footage you can also see at the end of the film. 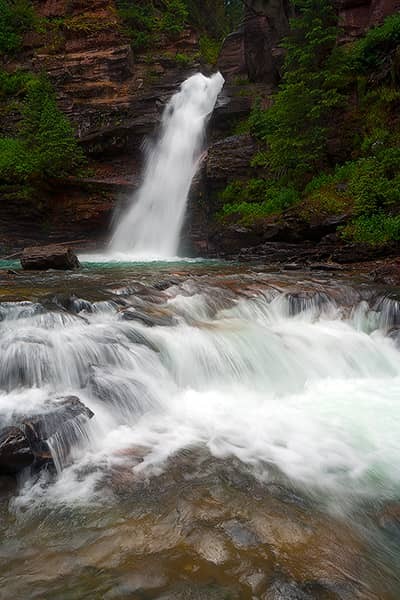 A few clips of Bridal Veil Falls are mixed throughout the film. After leaving Telluride, I started the drive around Mt. Sneffels Wilderness to Silverton. 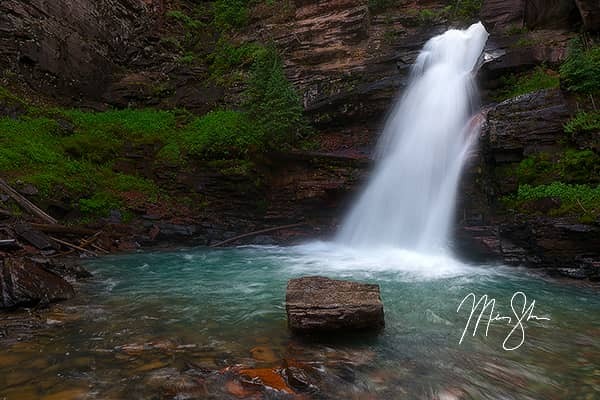 On the way, I shot a few seconds of footage at Bear Creek Falls, just south of Ouray. South Fork Mineral Creek Falls was my next destination. This might be my favorite waterfall in all of Colorado. 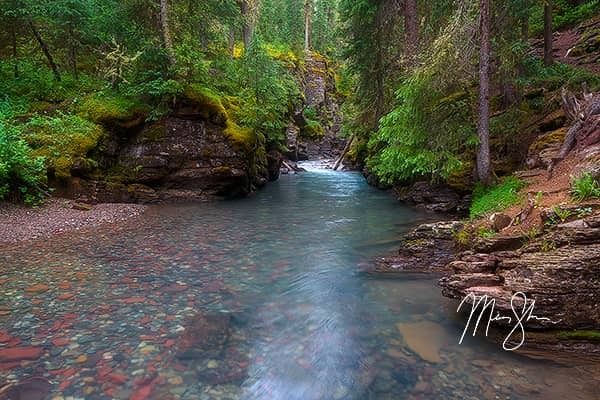 I still haven't fully explored it, as I know the creek extends for miles upstream starting somewhere above tree line. The water color in South Fork Mineral Creek Falls takes on a turquoise shade that reminds me more of the Canadian Rockies than Colorado. And with multiple drops, there are some awesome scenes to shoot. This set of waterfall provided some of the more serene scenes of the film. I had hoped to fly the drone through multiple waterfalls in one longer run but had to be content with filming a few shorter scenes at various spots throughout the waterfall. The final waterfall featured in the video provides the most dramatic scene in the movie. 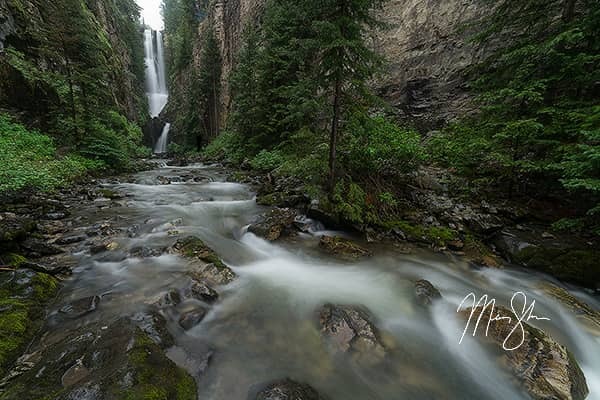 North Clear Creek Falls, located between Lake City and Creede, Colorado on the eastern side of the San Juans is one of the most photographed waterfalls in all of Colorado. I knew I wanted to get a scene that makes you feel like you literally plunge over the edge with this waterfall as it drops over 100 feet below. This scene is towards the beginning of the second half of the film, where the drone is flying above the brush and creek until you realize you're about to fly over the edge, eventually plummeting below.